When it comes to addictive drugs, heroin is among the most difficult to quit. However, with the proper help quitting is possible. Heroin detox is never quite the same for any two people, but there are many programs out there that are designed to help users take back their lives from heroin addiction. Because of the drug’s fast acting nature, it can take around ten to fourteen days for the body to filter out all traces of heroin. For those who abuse the drug heavily, detox can take as long as fourteen days. Detox from Heroin isn’t easy. 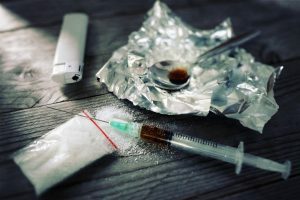 Withdrawal symptoms can be extreme which is why it’s best to undergo heroin detox in a safe environment where medical assistance is readily available at all times. Heroin is processed from morphine, a substance extracted from the seed pod of specific varieties of poppy plants. Heroin found on the street either comes in a white or brown powdered form that is often cut with powdered milk, starch, sugars, or quinine. Heroin can be snorted or smoked. In some cases, the drug can be injected into the body as well. Those who use “Black Tar” heroin, a type of heroin that derives its name from its black, sticky appearance, often prefer the injection method. When a person stops using heroin, they will begin to experience withdrawal symptoms. The severity of the withdrawal symptoms can range depending on how much of the drug a person has been using. A user can begin to experience withdrawal symptoms as soon as 6 to 12 hours after their last dose of heroin. As mentioned before, short-term withdrawal symptoms can range in severity from person to person. Some people may be able to weather the storm with minor discomfort. Others may experience extreme and even life-threatening symptoms. We can’t stress enough how vitally important it is that you undergo detox in a proper rehabilitation clinic where medical professionals can supervise you. The initial stages of heroin detox can be made much easier with the use of medication designed to stabilise both the body and mind. We have several clinics we can refer you to that provide top-notch rehabilitation services. This is the most intense and most challenging phase of detox, but the body will begin to slowly adjust back to its normal rhythm. Typically, the more severe symptoms will begin to subside around three to four days. Most patients begin to recover after one full week. It can be challenging to identify a heroin user. Unlike cocaine users who are typically easy to spot if you know what to look for, heroin users have an easier time when it comes to hiding their addiction. However, that doesn’t mean it’s impossible to identify a heroin user. You just need to know what to look for. No single sign can tell you with absolute certainty that someone may be struggling with a heroin addiction. However, a combination of physical and behavioural changes may be a definite sign that someone is struggling with addiction. The problem with trying to help an addict is they will normally pretend everything is fine and turn you away. If this happens, you should voice your concerns and tell them how the addiction is ruining their lives as well as their relationships with their family and friends. You can also offer to help them find professional services to help them overcome their addiction and that you will always be there for moral support. Give them space if they’re not interested in your help, but if they show signs of wanting to quit the drug, help them to the best of your ability. Overcoming heroin addiction is difficult to do on your own. Thankfully there are numerous rehabilitation clinics designed to help addicts overcome their addictions in a safe environment. Many of these clinics staff doctors, psychiatrists, psychologists, doctors, therapists and support workers. If you or someone you know is struggling with heroin addiction, we can refer you to a number of qualified heroin detox clinics that will provide a safe environment where you can receive the treatment you need. Recovery isn’t easy, but with the support of a highly trained team of professionals and with the support of family and friends, you can overcome your addiction and lead a drug-free life.